A terrorist attack on a police station in Nigeria left two people, including a police officer and the suicide bomber, dead Saturday. 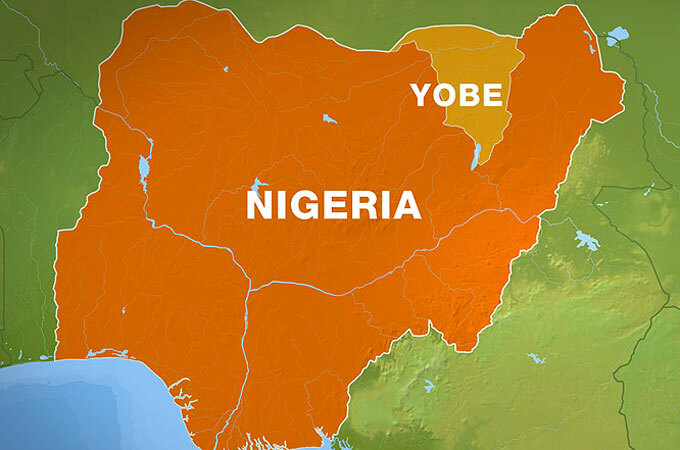 The suicide bomber targeted the police station in Potiskum town of the northeastern Nigerian state of Yobe, witnesses said, according to a Xinhua report. The attacker detonated the bomb at the entrance of the police station when the slain police officer was carrying out a security check on the bomb-laden vehicle, said a witness. “Other people were injured, but details of their condition are sketchy for now,” he said. Another witness said that the vehicle had drawn suspicion before it arrived at the gate of the police station. No official statement has so far been issued on the incident, which occurred few hours after a suicide bomb attack claimed at least 20 lives at a poultry market in Maiduguri, the capital of Borno State, which shares its boundaries with Yobe in the northeastern part of Nigeria. According to witnesses, the two attacks might have been perpetrated by the Boko Haram, a militant group in the West African country. The name Boko Haram, translated from the local dialect, means “non-Islamic education is a sin”. The group seeks to enshrine the Islamic Sharia law in the constitution of Nigeria and has been a major security threat in Africa’s most populous country since 2009. This radical Islamist group killed over 3,000 people last year, according to the Nigerian government.